Amangalle is an amalgamation of buildings dating back over 400 years, used successively by the Dutch, then as a billet for British soldiers, then to create the new Oriental Hotel which traded for 140 years during which time it was the home of generations of the Nesterboer family. Purchased by Aman in 2002 who have restored many of the original features eg. the colonial pillared frontage, the Victorian parquet flooring, the Dutch great hall with its Burmese teak floor, grand piano and spiral teak staircase. The traditionally clad, though rather morose, doormen are very quick to help with bags or offer an umbrella to Fort shoppers. Newly opened, Amanwella is located amid a mature coconut grove, in front of a crescent shaped beach and close to the quiet village of Tangalle. Leave stress and noise behind when you enter this resort famed for its outstanding service and impressive library, coupled with one of the quietest beaches on the island. It is easy to see how the resort name Aman – “peace” in Sanskrit and wella – “beach” in Sinhala was derived. The Villa 432 is located in Balapitiya on the south west coast of Sri Lanka, approximately 82 km (2 hrs drive)from the capital Colombo. This picturesque villa resting on an elevated land overlooking the breathtaking scenic Beratuduwa Bay has 10 well appointed rooms with AC, Fan, TV, Mini Bar, Telephone, Safety Locker, Hot & Cold water with shower and private balcony. The lounge and restaurant is situated on the ground floor facing the dazzling bay. The restaurant serves European and Sri Lankan cuisine to resident guests. An indoor garden and pond run parallel to the lounge and lobby. The bar is placed right next to the pool giving one an undisturbed view of the idyllic beachfront and the captivating deep blue ocean. The Elephant Corridor is Strategically located in the middle of the country. Elephant Corridor hotel is a fine base to explore the ruins of the ancient and medieval cities of Sigiriya, Dambulla, Polonnaruwa, Anuradhapura and Kandy. You could also visit the National Parks to watch elephants. This designer lifestyle hotel is without doubt one of the best small boutique hotels in the area! “Elephant Corridor” hotel in the heart of Sri Lanka is a 21 suite, small, luxury, designer – lifestyle hotel with individual plunge pools (a swimming pool for two) in every suite. “An ideal base to discover the ancient kingdom.. or simply relax and unwind …” The Elephant Corridor Hotel, set on two hundred acres of unfenced jungle land, borders a teak forest and a lake. You have a breathtaking view of the Sigiriya Rock Fortress in the background. Saman Villas is perched on a rocky headland dividing two long seemingly endless, surf swept unspoilt beaches of golden sand, backed by dense green coconut plantations, in the quiet-sleepy fishing village of Aturuwella in Bentota. The atmosphere is one of tranquility, disturbed only by the sounds of birds and the waves breaking on the rocks below. The views, from anywhere in the hotel, are magnificent. In central Sri Lanka, just 4 hours from Colombo by car to the Castlereagh Lake, lies the Bogawantalawa Valley, known as the Golden Valley of Tea and home to old Ceylon, replete with rolling green hills, plantation bungalows, high tea and exquisite service. Here in solitude, at an elevation of 4000 feet above sea level, lies Ceylon Tea Trails, 4 classic colonial bungalows built for British tea estate managers in the days of the Raj. These historic houses have been restored by Dilmah Tea with the co-operation of Bogawantalawa Tea Estates, to offer guests the unique experience of life on a working tea estate. Bungalow sizes range from 4 to 6 rooms; 20 luxurious rooms and suites in all. You set your own pace while at Tea Trails. Unwind in our beautiful gardens, visit a factory for a gentle education in the art of Ceylon Tea or spend an adventure-filled day biking, trekking and white-water rafting. We promise you an unforgettable holiday that will rejuvenate your spirit in the heart of the magical world of Ceylon tea. Aditya is a small all-suite luxury boutique hotel on a hidden stretch of beach in southwest Sri Lanka, between the tourist playground of Hikkaduwa and the historic city of Galle. 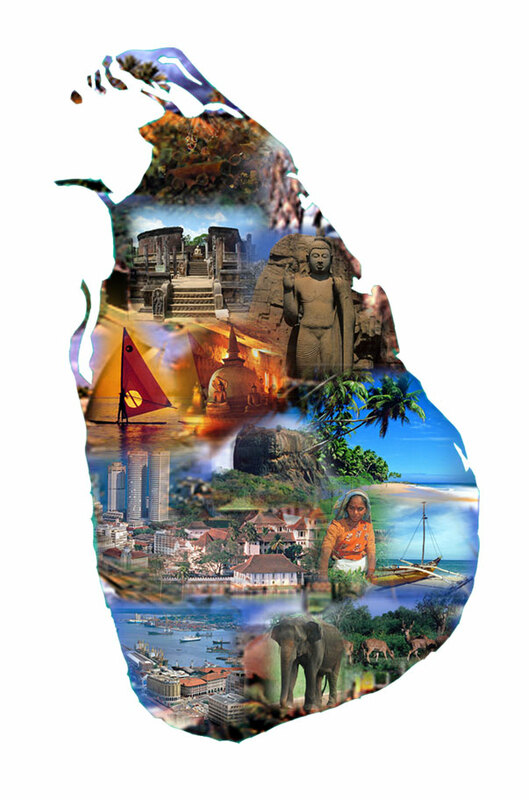 It is about a 100 km south of the capital Colombo.Ours is a small, intimate hotel with only twelve suites. Aditya feels as warm and welcoming as a home, and you can easily imagine it as your own private luxury villa on the beach in Sri Lanka. Located in Sigiriya, within the cultural triangle of Sri Lanka, 153 km from the Colombo International Airport. 169 km from Colombo, 5 km from the Sigiriya Rock Fortress, 25 spacious dwellings on four habitats, 10 within the forest, 6 over the paddy field, 6 over marsh lands and 3 in water Drawing from the local, rural traditions, the buildings grow not out, but into the landscape. The ‘habitats’ naturalized by local flora and fauna will create the timelessness of a healthy ecosystem providing the setting for peace and tranquility. With the first man-made lakes since King Parakramabahu’s era in the 11th Century, this exciting feature allows for the first time in Sri Lanka dwellings to be built over water. Separated from the bustle of Sri Lanka’s second largest city by four miles of winding road that undulates through a lush rural landscape, the Kandy House is a gracious surprise of understated hill Country splendor. Wrought iron gates stand guard at the top of a long, tear-shaped lawn leading to the front verandah- entrance to a magical place. Built in 1804 by the local chief Ratwatte Adigar, The Kandy House has been renovated sensitively to blend traditional Kandyan architecture with Dutch colonial furniture, luxurious Sri Lankan fabrics, relaxed sofas and ottomans, beautifully appointed bathrooms and elegant touches of color. The two most spacious bedrooms open onto a wide verandah that traces the house almost in its entirety and is dotted with cane chaises longues, reading chairs and antiques. The deluxe rooms, in contrast, surround a large two-storied courtyard, one opening up onto its on private terrace. All take their names from butterflies endemic to the Kandy foothills Redspot Dukes, Peacock Royals, Cornelians, Indian Admirals and Black Rajahs float through the extensive gardens that melt into the neighbouring paddy fields below. Located amidst the mountains of Ambewella, on a 6 acre estate, Jetwing Warwick Gardens is a century old abandoned bungalow that has been brought back to life. If you’re looking for a place of solitude, on mountain tops, a picturesque surrounding wherever the eye can see, this is it. Enjoy a morning head massage or a cool walk through the fruit orchard, pick your own vegetables or perhaps enjoy a fresh garden salad and then in the evening, taste a mouth watering mountain Bar-Be-Que. Copyright © 2019 FlySriLanka. All rights reserved.